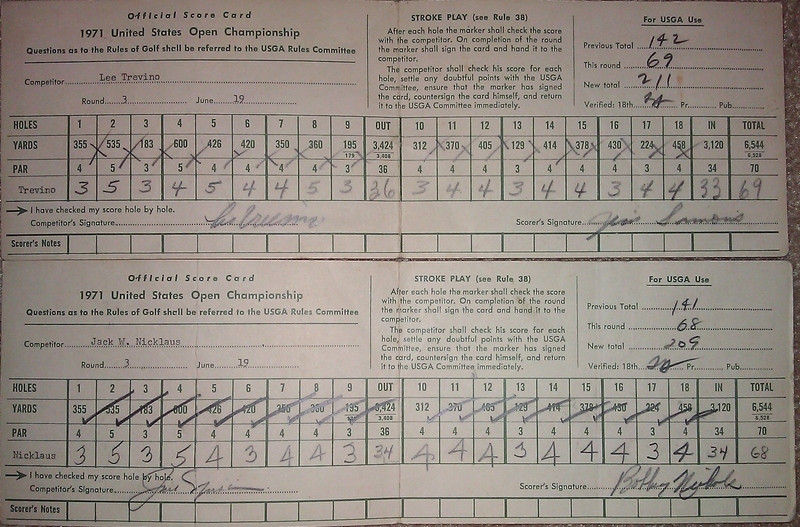 This is Lee Trevino's and Jack Nicklaus' 3rd round scorecard from The 1971 US OPEN held at historic Merion. This year these two played in a playoff with Trevino coming out on top. I bought these from someone who said he bought them in a flea Market in New Jersey. I am proud to own these.